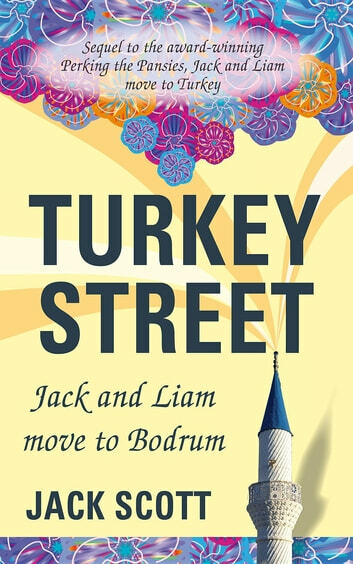 Six months into their Turkish affair, Jack and Liam, a gay couple from London, took lodgings in the oldest ward of Bodrum Town. If they wanted to shy away from the curtain-twitchers, they couldn't have chosen a worse position. Their terrace overlooked Turkey Street like the balcony of Buckingham Palace and the middle-aged infidels stuck out like a couple of drunks at a temperance meeting. Against all the odds, the boys from the Smoke were welcomed into the fold by a feisty mix of eccentric locals and a select group of trailblazing expats, irresistible ladies with racy pasts and plucky presents. 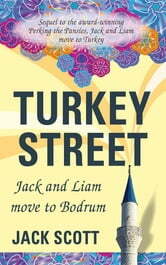 Hop aboard Jack's rainbow gulet as he navigates the choppy waters of a town on the march and a national resurgence not seen since Suleiman the Magnificent was at the gates of Vienna. Grab your deckchair for a whirlwind tour of love and duty, passion and betrayal, broken hearts and broken bones, dirty politics and the dawn of a new Ottoman era.